This is part one in our city food explorer series. Check back weekly for new city headlines. Seattle has been one of the fastest growing cities in the United States over the past decade, with companies like Amazon and Microsoft booming, and Bay-area tech companies like Facebook and Google setting up shop in the city. Not to mention the biotech industry growing in Seattle, and new startups growing from dozens to thousands of employees. Of course with this rapid growth comes increases in cost of living. As salaries have spiked in a once-quiet corner of the country, everything from housing prices to the cost of groceries has gone up. 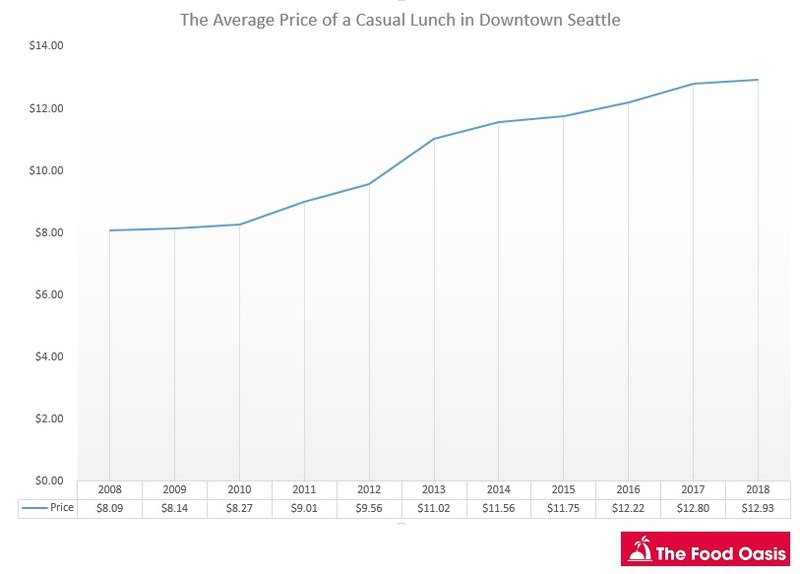 And specifically, one trend we noticed growing in Seattle more than other cities was the price of lunch in the downtown area rapidly increasing. We have been tracking meal prices across dozens of US cities over the years, and of all of them, Seattle has seen one of the largest jumps. We have pieced together the data from the last decade and it clearly shows casual lunch prices jumping around 50% over the last 10 years. (Pricing data pulled from a range of casual downtown Seattle lunch restaurants. Menus from previous years found using archive.org when available. Casual lunch restaurant is defined by an even mix of dine-in and takeout options, including fast food and fast casual). These numbers do represent not only two very different economic climates, but also Seattle as one of the fastest growing cities in the country. 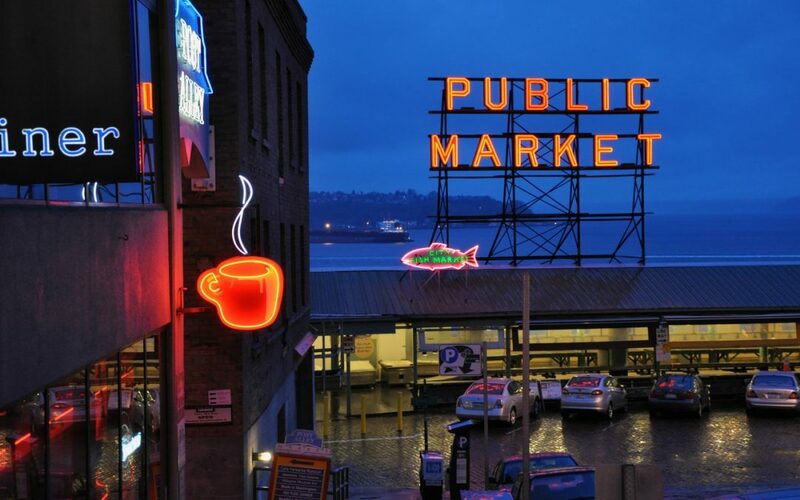 In 2008, Seattle had been hit by The Great Recession, but has recovered faster than almost any city in the US. It doesn’t take data to paint the whole picture, either. We spoke with several people in the area, all who said they have witnessed the price increases first-hand. An Operations Director who works for Amazon and did not wish to be named, mentioned that he remembers when he used to work in the Columbia Tower for the large ecommerce company. He commented about cheap lunch spots down in the financial district. Now that he’s located in South Lake Union, one of the most rapidly-developed parts of the city, he barely gets lunches for less than $15.